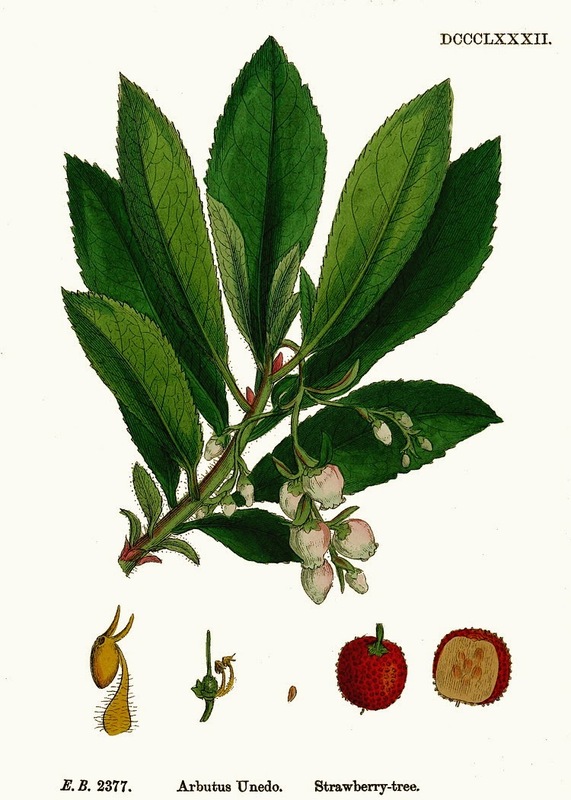 The Strawberry tree is a gorgeous, small, evergreen tree that is noted for its unusual strawberry-like fruits. usually propagated from cuttings, the Strawberry tree can be rather expensive to purchase but if you can get hold of ripened fruit then you have an excellent chance of growing your own stock of Strawberry trees from seed. You should sow Strawberry tree seeds when they are fully ripe, usually in March. Use a good quality compost such as John Innes 'Seed and Cutting' or create your own using 2 part moss peat and 1 part lime-free horticultural sand. Sow the seeds in pans, or large modular trays, water in and then place inside a cold frame. Once the seedlings have emerged, they can be pricked out, but be careful so as to reduce any damage to the root systems. Plant these on onto individual 3-4 inch pots using John Innes 'No 2', gently water in and place back into the cold frame for another year or so. The young plants will be ready for transplanting into their final positions in May to March. They will require a sunny sheltered position away from cold northerly or easterly winds. They are happy in an ordinary well-drained, but moist soil, but they will perform best in alkaline soils. While young plants will benefit from some winter protection, the Strawberry tree will become progressively hardy as it matures. Main image licensed under the Creative Commons Attribution-Share Alike 3.0 Unported license - Lucarelli.